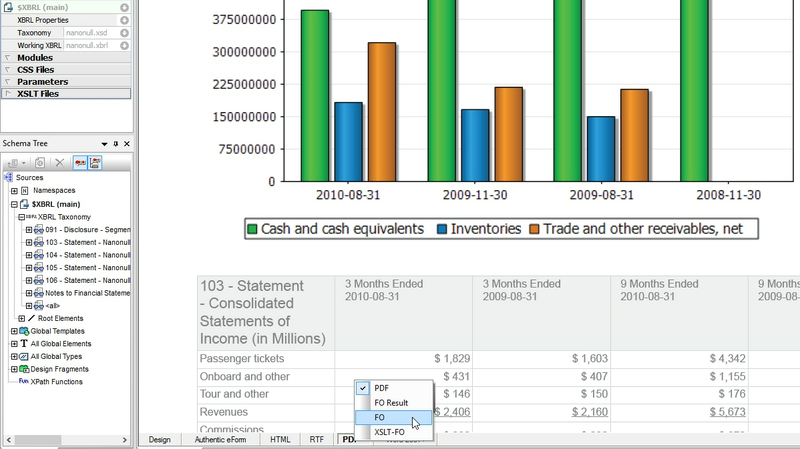 Altova StyleVision is a graphical tool for building reports and forms for backend XML, XBRL, and database data. 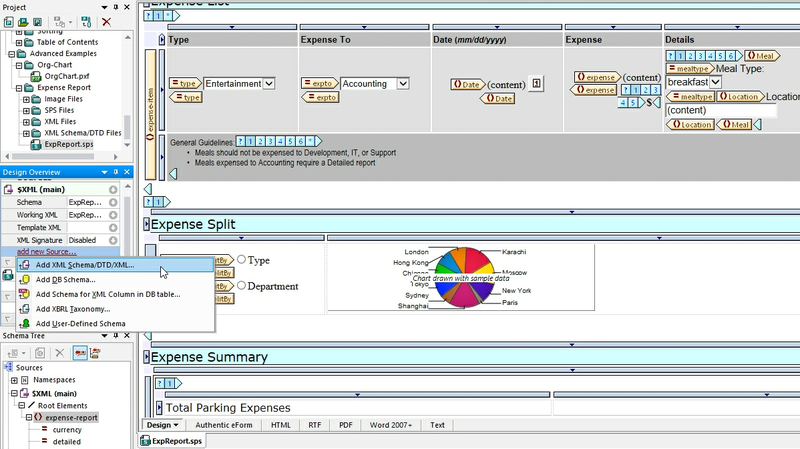 StyleVision takes the complexity out of XSLT coding by allowing you to design reports and forms visually. You simply drag and drop to create sophisticated designs for publishing XML, XBRL, or database data in multi-channel formats. Designing XSLT stylesheets in StyleVision is a highly flexible, visual drag-and-drop process facilitated by intelligent menus and entry helper windows. Advanced stylesheet functions help you define conditional templates, auto-calculations, rich input formatting, and more. Each design you create in StyleVision automatically generates output in HTML, PDF, Word, and RTF, as well as the corresponding XSLT or XSL:FO stylesheet for each format. It’s easy to get started in StyleVision. You can even base your design on an existing Word document – this is infinitely easier than hand-coding XSLT! StyleVision is ideal for multi-channel or multi-format publishing of business reports. Whether you need to publish XML, database, or XBRL data – or a combination thereof, it’s easy to design sophisticated reports using StyleVision’s drag-and-drop design paradigm. Your one design simultaneously creates a compelling business report in Web and print ready formats including HTML, PDF, RTF, and Word. You can automate your multi-channel report publishing projects using the generated XSL stylesheets or via the high-performance StyleVision Server. 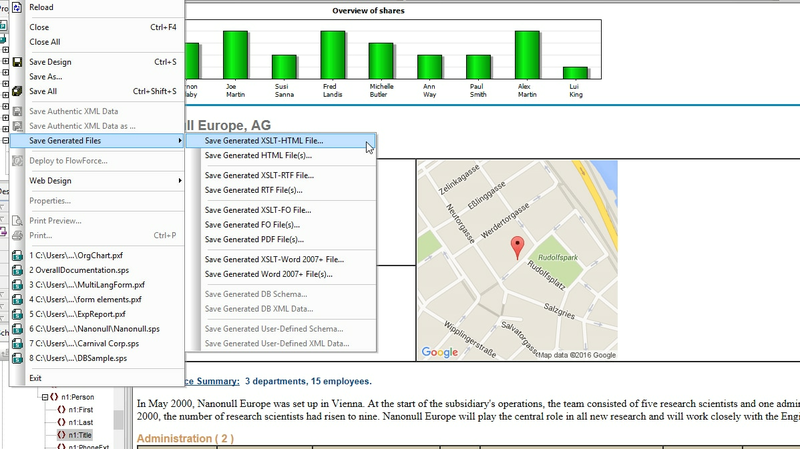 StyleVision makes it easy to transform XML content into reports that address business goals. Each design you create in the StyleVision XML publisher generates your XML report in multiple channels for print and the Web. The corresponding XSLT and XSL:FO stylesheets are also generated for easy automation. Since PDF documents are paginated, StyleVision includes special XSL:FO options including bookmarks, tables of contents, cover page design options, headers and footers, and so on. Combine data from multiple XML Schemas or DTDs in a single report design, or add other sources such as relational database or XBRL files. StyleVision makes it easy with a visual design paradigm, intelligent entry helpers, conditional templates, and more. All major relational databases are supported in a single product version. 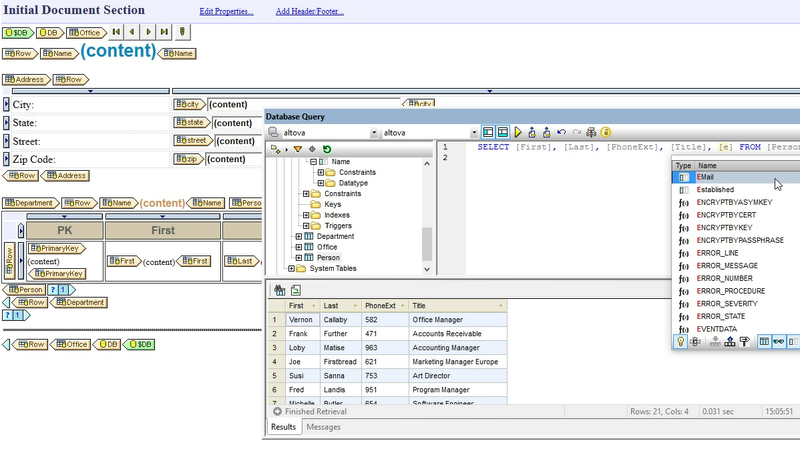 It’s easy to connect to back end data using the Database Connection Wizard, which includes ADO, ODBC, or JDBC options. Once connected, the StyleVision presents you with a list of the available views, tables, and system tables, and the Preview Window lets you to see the data while you're selecting the tables and views to use in your database reporting design. As you're designing a database report, it is useful to view the content of the database you're connected to. 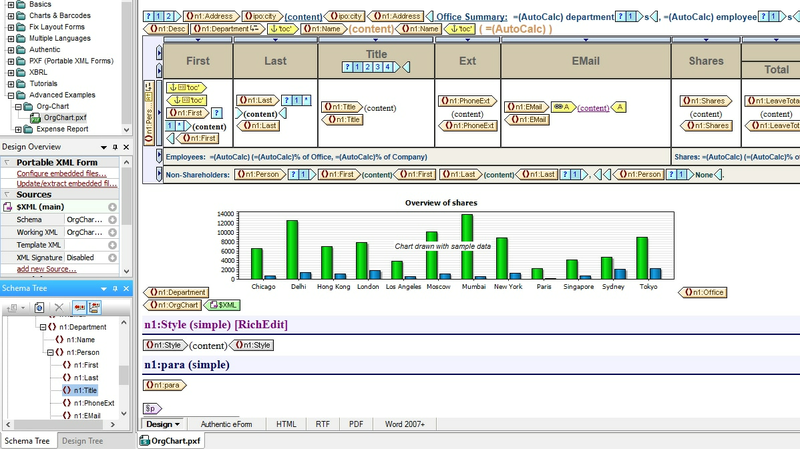 The StyleVision Database Query window provides an intelligent SQL editor with auto-completion. You can also let StyleVision autogenerate SQL statements by dragging database objects from the browser pane onto the SQL editor or selecting them using the right-click menu. Alternatively, you may import and edit existing SQL scripts. To create your design, simply drag and drop elements to the desired location on the design pane. Advanced database reporting features like grouping based on the XSLT 2.0 standard, inline Primary and Foreign key creation, and support for Database Views enable you to add complexity and dynamic functionality to your multi-channel reports. visual design model radically simplifies XBRL-related rendering, reporting, and analysis, making it possible for business domain experts without deep XML expertise to leverage the full power of XBRL. To create a straightforward XBRL report, you simply drag and drop a taxonomy financial statement onto the design pane as an XBRL table. The XBRL Table Wizard makes it easy to customize the table structure and specify the concepts to in.